New Delhi, September 3: “In one of the paragraphs of the Bhagavad Gita, Krishna says that whenever there is be a predominance of evil and decline of religion, he will reincarnate to destroy the evil and let the good take over.” Celebrated with great fervor in India and abroad, Janmashtami is one most celebrated and renowned festival among the Hindus. The main significance of Janmashtami is to promote goodwill as it is to knock down evil intentions. As the clock strikes 12 on Sunday midnight the celebrations of Krishna’s birth kicked off all over India, with the enormous enthusiasm of breaking ‘Dahi-Handi’ by young Govinda’s. Singing ‘Go Go Go Govinda’ the people all over India has geared up to celebrate the festival of Dahi Handi. While the festival is a time of celebration and fun with beautifully decorated jhoolas, Raas Lila performances, and Dahi Handi competitions, the legend behind Lord Krishna’s birth is a fascinating one. Janmashtami is marked on the eighth day (Ashtami) of the Krishna Paksha (dark fortnight) of the month of Shravan according to the Hindu calendar. The Dahi Handi celebrates God's playful and mischievous side, where teams of young men form human towers to reach a high-hanging pot of butter and break it. Another common form of celebration followed usually in Gujarat and Maharashtra is the practice of Dahi Handi. 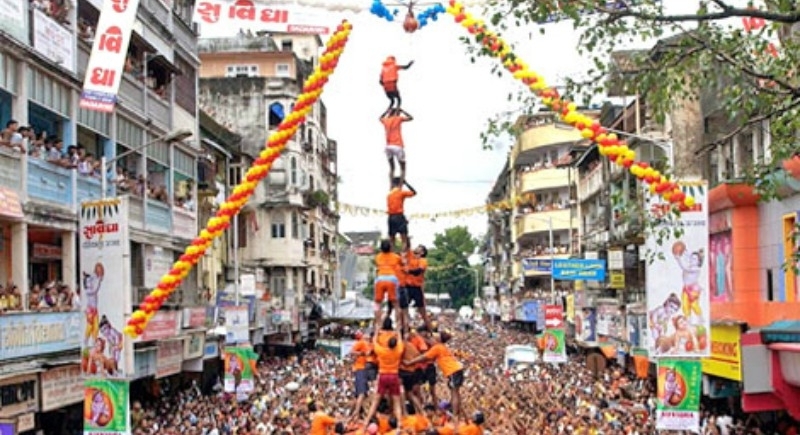 In Mumbai, Govinda troops will compete in Dahi Handi celebrations by forming human pyramids and breaking pitchers strung high above the ground for hefty cash prizes. 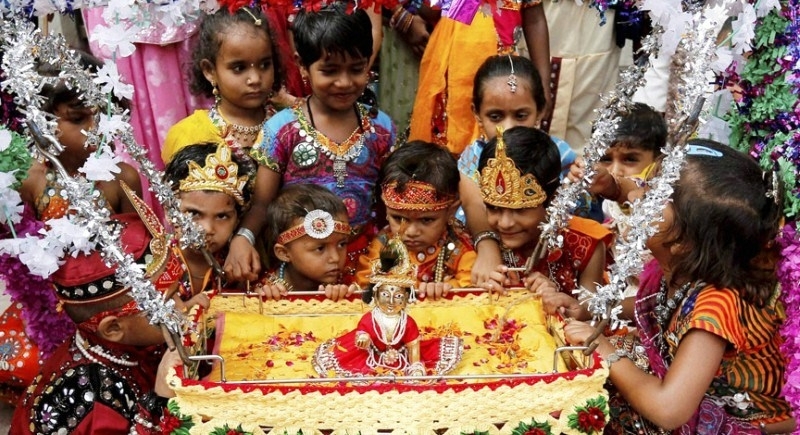 With the entire country celebrating favorite God Krishna’s birthday, Prime Minister Modi extended his warm wishes on the auspicious occasion of Janmashtami. Krishna Jayanti also celebrates togetherness. The festive occasion brings people together when families and friends join in to celebrate it. The festival is celebrated with utmost devotion and goodwill as devotees throng the temples to offer prayers to Lord Krishna. Mathura and Vrindavan in Uttar Pradesh is fully geared up to celebrate the birth of Lord Krishna. Thousands of temples including Banke Bihari Temple, Prem Mandir, Iskcon Temple and Shri Krishna Janm Bhumi Temple have been tastefully decorated in Mathura, the birthplace of Lord Krishna.